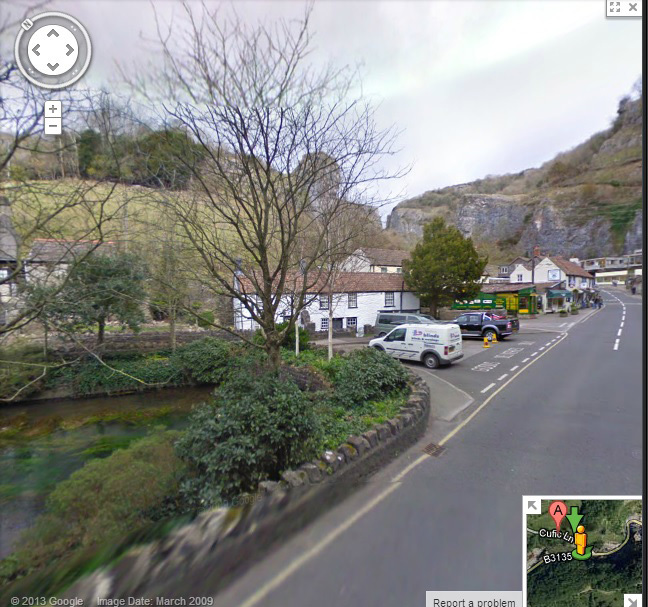 Cheddar Gorge is a limestone gorge in the Mendip Hills, near the village of Cheddar in Somerset. Claude Buckle captures this in a fine pencil drawing. Created in 1934. 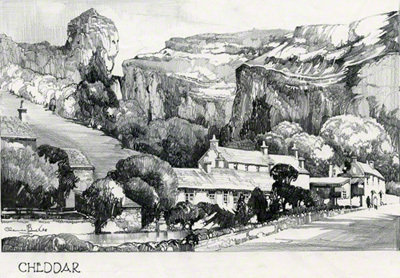 Photograph taken of Cheddar Gorge with the same perspective as the pencil sketch above. The stream on the left and the small house in the distance together with the out crop of rock can be seen.